I fell in love with the beauty of shooting brakes quite a while ago. Amongst those also the lovely GTE models, of which esp. the SE5(/a) caught my eye. But as most here know it's not always easy getting them on the road, which is why I wanted to ask if anyone knows anything or anyone who has put a GTE on Swiss plates. I've found a few German ones (lived there before), sadly the rules in CH are even tougher to my knowledge so far. So I'm trying to gather everything I can that brings me closer to bringing a GTE on Swiss plates and roads. For this reason I also don't want to limit to any specific model yet, as I first want to understand the circumstances, constraints and obstacles. Although the ultimate goal would be a SE5 or SE5a. - I know that there at least was a GTE (not sure about the model) registered in the Kanton Aargau, haven't managed to localise the holder/owner yet but still am working on it. So all in all my knowledge putting weird cars on the roads is limited at the moment, until now I've stuck to what was 'natively available on the market'. I'd be very thankful for tips, hints, remarks, or whatever brings me closer to the goal. That sounds an interesting thing to do ,I take it there are historic vehicles over there and therefore must be clubs for them ,might be a good idea to join a general car club and ask around in that . One of the conditions may well be that the cars have to be of original specification which will affect your purchase car in the future. I'm sure the Swiss authorities have the rules written down somewhere too so may be worth contacting them too,hope all goes well . There were two GTC's in Switzerland some years ago and I think Middlebridge 29 might live there - he was at last years International meeting in France. Hopefully someone will come up with more details for you. While we were in St Wolfgang a couple of years ago 30 Ferrari's came into town all of them from Switzerland and all but one new - I think a single GTE would attract more attention. There are literally hundreds of British classic cars in Switzerland , you can see them and meet all the owners at a huge meeting in Morges every year , usually in September. 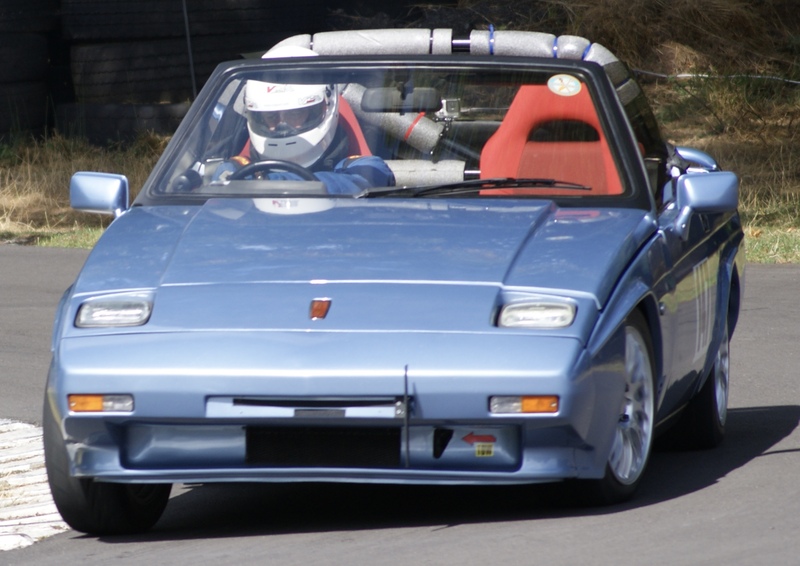 Have a look at this article http://www.british-cars.ch/; get in touch with Chris Johnson on www.scimitarfr.net, he knows several of the existing Swiss owners. Thank you already for the great hints and the warmest welcome ! I'll get in touch with Chris and also scout the british-cars if I can spot a GTE. I also found a hint on sporting-reliants to a guy who seemed to have restored an SE5 in Switzerland and could at least track down someone with the same, not so common, name in CH, so I'll try my luck there as well. Overall there is plenty of expensive and rare, collectible cars (of all vintages) in Switzerland, yet the more down to earth cars can (also because of economical reasons) sometimes pose hurdles. I know that for example of the older VW T3 vans for example there is basically only the petrol version available as the diesel ones are so difficult to get registered in CH. Welcome, and good luck with your search Oldconn has beaten me to it, but I'd agree that Chris is the person to speak to regarding Scimitars in Switzerland. I was in touch with the owner of this company http://www.bahmancars.ch/index.php based in Geneva a few years ago when he was looking to import a GTC. He's imported and sold a Coupe and an SE5 in the past. Maybe he could help ? Bachman, or Marcus Tanner (Classic car connection? ), Oli Hoffmann. The are the names coming to my mind. There used te be a Scimitar club in Switzerland. Alas Ihaven't heard form them in years. Thanks to all the tips and hints I've got first responses and general consensus is that for models registered before 1976 there should be managable obstacles (YAY! ), newer cars could become an issue due to emissions, but that would have to be investigated more in detail. I'm now in direct contact with multiple owners, including the still active Scimitar Club of Switzerland, which according to a member represents more than 20 cars from all vintages. So all in all it I'd say: a successful research mission, now the search and rescue can begin! So according to my information all kinds of Scimitars are represented in Switzerland: SE 4a, SE 5, SE 5a, SE 6, Middlebridge, SS1 (to just name the one's that were specifically mentioned to me). So far everyone involved was extremely helpful, this community (not only this here, but around the Reliants/Scimitars!) is amazing! I know of a se5a in the Netherlands. It came up just yesterday. Contact meif you want to know more. Sadly Louis had to sell MB29 due to ill health but she has a new and enthusiastic owner in France. I am not aware of any Middlebridges now in Switzerland but if you do find one let me know! I've been in touch direct but only just come across this thread. There are dozens of Scimitars in Switzerland. To register an SE5 in Switzerland (at least until 1973) is no problem at all. According Swiss law, the 1st registration (based on the car documents) is relevant and not when the car was built ! The younger the car is the more problems you will have. The CoC (Certificate of Conformance in the EC/EU) is something that was introduced in about 1995. The Swiss authority would accept a CoC and if you would have such document it would also be no problem to register the car. But unfortunately no CoC for any Reliant car exists and it can also not be issued because the Company doesn't exist anymore. The manufacturer is the only one authorized to issue it, no dealer, no club. You mentioned the brake system, from 1.1.1973 it is required to have an independent 2-circuit front/rear braking system. If your car hasn't you need to modify that. If the car is RHD you also need a left side wing mirror.